Sounds like a great idea. Can't be much for say 4 stewards and electrics for 4 hrs. and it would only be for a small number of games. One £8000 spend might cover the season. Only you seem to be saying 'us and them' mate. No it is not. Your last sentence would be laughable if it wasn't so sad. Debating with you is tedious as you are bereft of understanding. Shoots/Shuts people down. Probably what you wanted. I'm out too (debating with you). Nice looking chicks were they? I was going to mention that, I thought Rarae Aves was one of the hapless Pedro's signings at the Sevco AllStars. I was sure that was big Isma's first club..? Ok lets turn it on its head. Looking at what the 3 monthly spend has been allocated to so far, it is evident that the club could have either paid for those items in full, or did not require part funding by Smisa. so why not drop subscriptions to £10 and keep the eyes on the prize and stop paying for Gordon's shopping list? were you not a member of the SMISA board that came up with the £2 discretionary pot to be voted on for spending? Objecting to it now, why? Did you & the SMISA board not discuss where the suggestions for the votes were going to come from? I'd suggest SMISA members send in their suggestions if they are not happy with the club making requests to be put to the vote. Provide SMISA with options. My only concern is that the agreed process is followed. In the absence of viable members suggestions, it will be "Gordons shopping list" that gets presented unless you are suggesting, members suggestions are getting sidelined/ignored for Club requests to be railroaded through. My eyes are on the prize, I am a clear advocate of saving the £2 pot for SMISA to have a fund for when they do have ownership of the club. That is when the real bickering will start, when all those that fancy themselves as Chairman or other position on the Board start jockeying for position. That might even have started now for all I know. I agree with the principle of choice but to me five options would dilute the outcome. You could arguably get something passing with only 21% of fans backing in the above scenario. Club has said as much in previous votes. Bank it is always an option, it doesn't have to be on the vote. A no vote is a vote to bank the money. Any fan that needs this called out separately has to have a serious word with themselves and you would have to question their intellect. That wasn't much of a choice. My understanding of choice is a number of options. 2 is insufficient (IMHO) hence I suggested 4 or 5 options. Future option - Save for when SMISA have ownership. Mibbie the sports scientist can have a word with the sweary wummin? Aye great idea - sports scientist will end up on the treatment table. If the postings on here are representative of the SMISA membership, there appears not that many who are bothered either way. I believe SMISA should be more transparent with these matters and communication from SMISA should be better. Unfortunately, Tsu is the only 1 engaging on here & that is a pity as at times, it looks like he gets hung out to dry a bit when healthy discussion results. Unfortunately, the members can only vote on what is presented to them. If the option (like the transfer window vote of Transfer kitty or don't spend) is Sports Scientist or Save, then that is not acceptable but I really believe, not enough folk are bothered. Me, I just want to see the agreed process adhered to. Vote results, I'll accept, that is what the majority voted for, even if I didn't. Option 3 would need to be fully costed before it got anywhere near a quarterly vote. You'd also need to answer certain pricing issues, matchday controls and no doubt other matters before adding it. You can't have an option that isn't costed or fully thought through if it's something that's a material change to the ground and/or a change to club operations. Some of that costing would involve surveys, which don't happen for free, and you'd probably need a vote to approve the spend on the survey(s) and subsequent design work. You then have the planning app, but it may even require a vote for members to decide if they want it in the first place. That vote would need to be supported with detail of the spend required to take it to beyond planning. I suppose you could survey the full support, gauge interest and have those interested asked how they'd envision the build being funded. Once you strip out the "the club should just dae it" responses you may get something to work with. How the £2 spend was sold was for the members to choose what they wanted to spend it on, club, supporters enhancement, community... the reality is the club pick what it gets spent on save for a couple of small beer spends. So the options presented are in the main what bill the club want covering, rather than what the people who raised the money want. No surprise that my insistence that it should be more member driven fell on deaf ears. No chance I will be anywhere near that board again, they are not interested in putting members interests first. Thanks for making my point so clearly Kenny. That laborious process you describe above is exactly what was required for the disabled platform, and there was as I recall no gnashing of teeth about the process then. Mind you the club were getting a huge chunk of Smisa funding for their project. Funny how it isn't a red tape nightmare when it's something the club want, but if a member puts forward a suggestion that requires proper project management neither Smisa or the club can be added to help! Thanks for making my point so clearly Kenny. That laborious process you describe above is exactly what was required for the disabled platform, and there was as I recall no gnashing of teeth about the process then. Mind you the club were getting a huge chunk of Smisa funding for their project. Funny how it isn't a red tape nightmare when it's something the club want, but if a member puts forward a suggestion that requires proper project management neither Smisa or the club can be arsed to help! Since both SMISA & St Mirren are in fairly healthy financial positions at present, the 3 Monthly £2 spend vote gets suspended and the money allowed to accrue until SMISA have the controlling interest in the club. 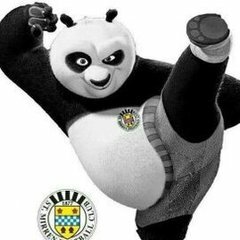 In the 9 years or so left, over a quarter of a million pounds would accrue (at the current member levels) which would provide SMISA with a huge fund (in comparison to what The Club & most of Scottish football clubs have had) at hand & how much difference to better St Mirren FC would that make. Instead of frittering away £8000 every 3 months. Can I ask, what could St Mirren FC do if it had a pot of £250000 to spend? Makes sense to me. That was led by the club though, with SMISA evidently agreeing to pick up their share via member agreement through a vote. So there was no major gnashing because SMISA's involvement was limited with regards getting the costing to a workable point. At least I don't think SMISA ran the surveys etc, I did of course miss all of that. If SMISA had to pick it all up it becomes a different proposition entirely, you of course require the backing of the club. I look at the platform, more as SMISA and the club working together to assist disabled supporters and ensure gold status (think I have that right) was given to the club again. Disabled supporters get better facilities, the club can host certain games again and gain a better reputation. I see nothing wrong in that or in the option being put to the members. I doubt you find anyone who would disagree with the funding of the platform. It is a clear example though of how a club spend request is treated differently to an actual Smisa member request. Why can't Smisa work through member proposals with their actual members..? Gold status? A stadium where the answer to small visiting supports is for the BoD to chuck them into an unsegregated family stand. Someone is having a laugh. Status is the standard of facility, not how you use them. There was a shared area with Partick in the past, evidently not every support will be able to mingle. Indeed. We appear to have a 'gold standard' or 'state of the art' facility, so clearly, the problem lies elsewhere. I.E. In our boardroom. Could any decent proposals not be put out to suitable members of smisa to do a costing exercise on. I seem to remember tradesmen from the support have helped with work in the past so should be no real reason why a suitably qualified member couldn't help assess the feasability of a suggestion for the spend. I think a lot of us are now wondering just what is okay with you. You have a go at other posters for criticising pretty much anything, and your attitude seems to be 'as long as I'm alright Jack'. Obtuse posts, difficult to understand responses... I'm out. Things are never going to be perfect at our club, like any club. There's always going to be tough decisions that have to be made. Banging my head against the wall here yet again but when it comes to the club decisions about things like opening stands and recommendations for SMISA money I'm satisfied the people running our club will make the the choices they believe best suits our club. People can moan all they want about stuff like that, for me it's pointless. After yesterdays performance, I think the sports scientists suggestion of the pie supper diet will need to change. After yesterday's performance, while a sports scientist may be beneficial in some way, of more benefit would be two additional front men, a midfielder, and a solid defender. I'd rather Jack was looking at this, and maybe worrying about a sports scientist some other time. Not a priority at this time. Not even close to being a priority. IMHO. Radio Scotland programme this afternoon was superb... All about mental health and featured a sports scientist. No joking... Standout of the show was one Mr Alex Rae esq. I found myself hanging on his every word and totally respecting the man. Edit: For hanging onto every word of Alex Rae. No other reason... you never know on the forum these days. Some walloper will accuse you of being flippant about mental health issues. Think it's turned into more about.... does the club run smisa?...is smisa obligated to the club in some way?....is smisa run independently of the club? Rather than do we have faith in either to do best for the club.or to what extent each takes cognisance of the fans. Anyone notice the sports scientist sitting on the Partick Thistle bench yesterday - a certain Junior Mendes. Just voted. Not to have a sports scientist if hes already in place. Keep the money in the pot for me. Tier two I voted for the wheelchair club. Fantastic work they do!